The most important aspects of search engine optimization (SEO) is determining the best keywords to optimize each of your website pages. Keywords (or keyword phrases) are the targeted phrases for which your site appears in search engine results. When someone enters these keywords or phrases into search engines, you want your company to show up near the top of the results. You can add keywords that outline “what you are” and keywords that outline “what you do.” The goal is to identify keyword phrases that will help drive targeted traffic and convert those visits to leads. STEP TWO: Using other tools, we examine the keywords closely to determine and how competitive that phrase is and how easy it will be to get that phrase ranked. We will also examine how accurately keyword phrases reflect your overall marketing strategy and which phrases most closely demonstrate your services. Our definition of “keyword competition” is how many other pages in Google’s search index contain that same exact keyword phrase. If the phrase “Mortgage company” is a keyword you want to be ranked for, but Google shows that same phrase in 10 million other pages, it will end up being very difficult to rank on the 1st page of the search results. In other words, Google looks at your web page with its designated keyword and considers, “why should this page rank higher than 10 million other pages with that same phrase?” Therefore the goal is to find a balance between keywords that are searched frequently but have less competition so you can get results faster. 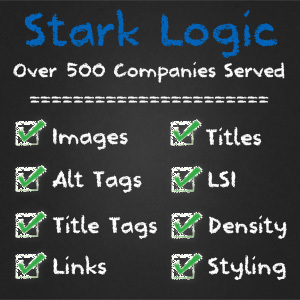 What makes Stark Logic unique is that our strategy is to focus content on long tail keywords. When performing a Google search, as you add more words to your search phrase, the level of competition goes down as you become more specific. This is because there are less pages the more specific the keyword phrase is. As depicted above, less pages are competing for the top spaces the more words you add to the results. At Stark Logic, our goal is to create unique content for these long tail keywords in order to drive traffic to your web site and increase your search rankings. By adopting SEO practices, your goal is that your website will come up first in the results when a person types these keywords into Google, Yahoo, or Bing. Therefore, these would be ideal keywords to target for your business and your desired market. For each of our SEO campaigns, we perform an in-depth keyword analysis to determine the best set of keywords and phrases to rank for. We then add these keywords to our SEO ranking software and we can track where your web sites rank in the search results. 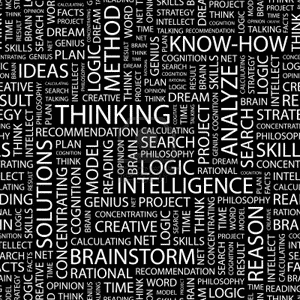 Keyword research and analysis are crucial for search engine optimization, and Stark Logic can help your web site sites get to the top of the search rankings using our proven SEO keyword techniques.